Teri Lynn Hatcher (born December 8, 1964 at (Palo Alto, California, USA) is an American actress, writer, and presenter. 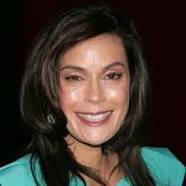 She is known for her television roles as Susan Mayer on the ABC comedy-drama series Desperate Housewives (with Eva Longoria), and Lois Lane on the ABC comedy-drama series Lois & Clark: The New Adventures of Superman . For her work on Desperate Housewives, she won the Golden Globe Award for Best Actress and three Screen Actors Guild Awards, as well as a Primetime Emmy nomination.